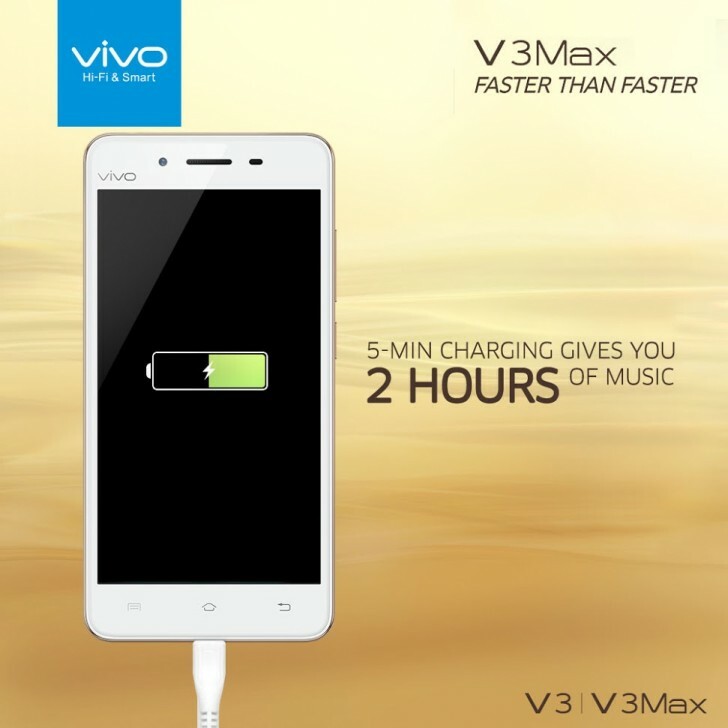 vivo launched a pair of new devices in Mumbai, India today, adding to its new budget-friendly "V" line of handsets. 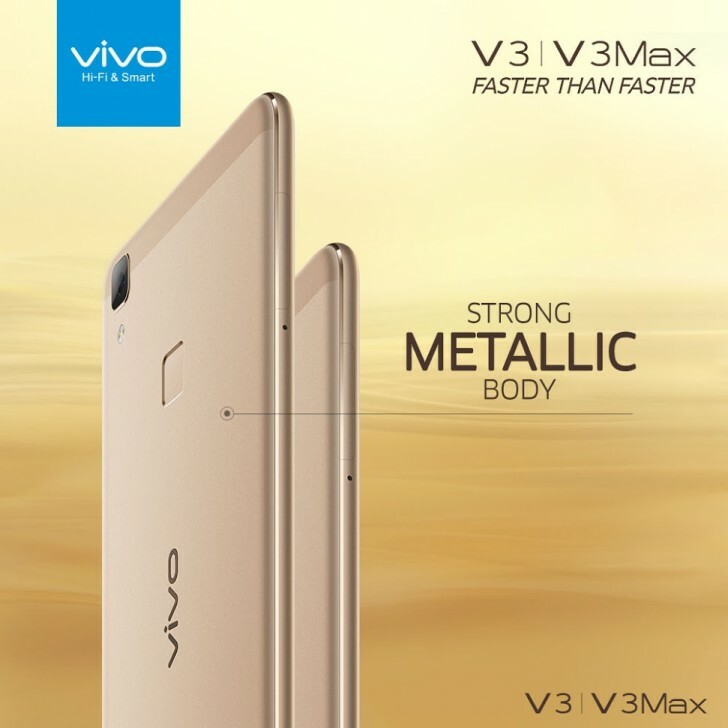 The vivo V3 and V3Max flaunt metal bodies - slimmer and sturdier than their siblings and both come with a big focus on improved performance. 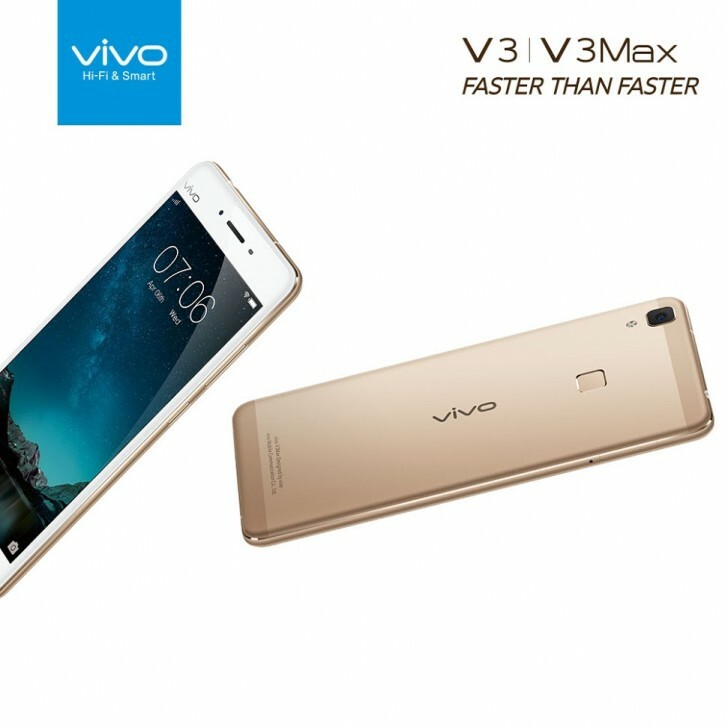 The smaller (143.6x71x7.5mm) vivo V3 is equipped with a 5-inch, 720p display and powered by an octa-core Snapdragon 616 SoC with 3GB of RAM. It has 32GB of expandable storage and a 2,550 mAh battery. The V3Max stands at 153.9x77.1x7.58mm, bumps up the display to a 5.5-inch, FullHD one and comes with a 2.5D glass on top. The processor is also a beefier Snapdragon 652 SoC, while RAM has been upgraded to 4GB and the battery has 3,000 mAh capacity. The two phones share a decent camera setup with a 13MP main shooter that promises a mere 0.7 second start up time and 0.2 second for its phase detection auto focus. Both also have a rear-mounted fingerprint reader, equally fast with a 0.2 second read time. The vivo V3 and V3Max come with a high-quality AK4375 audio chip, LTE connectivity, Dual SIM support and Quick Charge. The duo will be released in a total of eight countries: China, India, Malaysia, Thailand, Philippines, Vietnam, Myanmar and Indonesia. Pricing will be around $270 and $360, respectively.